Catalyst for the website redesign? 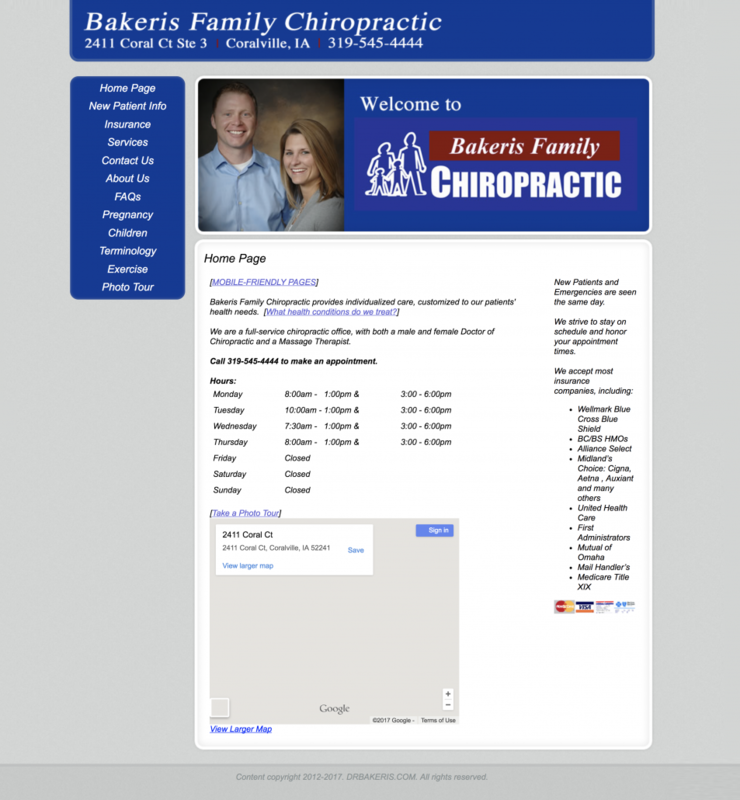 There were several motivational factors why the owners of drbakeris.com (Chiropractor in North Liberty, Iowa) decided to invest in a new website. Old HTML based website (vs. new WordPress.org CMS). Not being found when searching for “Chiropractor North Liberty, Iowa”. Gain the ability to easily update and edit the website themselves with the use of a modern CMS. We’ve found that every client tends to be a cost-conscious, especially when their previous website didn’t have the expected return on investment like their previous website. This is where Big Ten Web Design stands out. 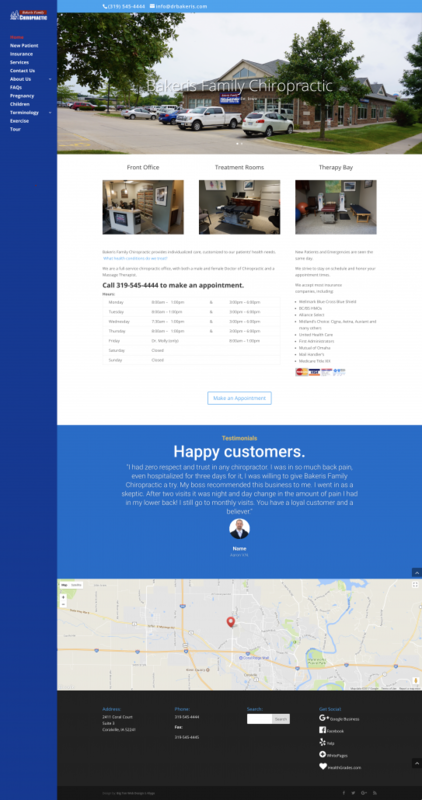 This new website has gained them several new clients within day’s of its launch and that trend doesn’t seem to be slowing. We hope to see them grow and only improve the site over the years. Now that the website is database driven (MySQL) it will be easy to re-theme in the future with all of the site’s content.